CDR CiderLab is the instrument to perform chemical analyses on cider: the ideal ally to carry out process controls throughout production. The innovative analysis system that fine tunes traditional testing methods, making them faster and easier. CDR CiderLab is so easy to use that it can be utilized not only in a laboratory, but straight in the production plant, even by personnel with no previous specific lab tech experience. CDR CiderLab for Cider was last modified: March 6th, 2019 by CDR s.r.l. What is the CDR CiderLab System? CDR CiderLab is a true testing laboratory, a self-contained and compact apparatus complete with everything needed to perform analytical quality controls, in total autonomy, throughout cider production process. How are tests on cider performed? Performing chemical analyses on cider is simple and fast because sample preparation is minimal. All reagents are supplied pre-vialed and ready to use, and operators do not have to handle toxic or carcinogenic compounds; there is no need to wash either containers or traditional glassware. 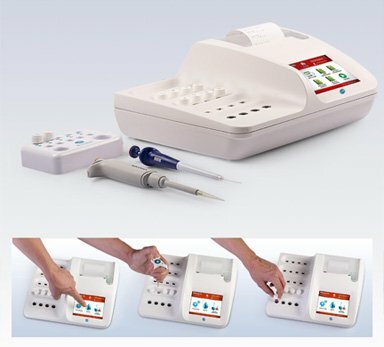 Moreover, CDR CiderLab allows accelerating analytical procedures thanks to its thermostated incubation cells and multitasking mode that allow performing several analyses at the same time on the same sample or sixteen different assays for the same parameter on a batch of different samples. All of this in an simple and fast way.